A delicious bottle of red wine with Belgian chocolates. Send this gift for his birthday or any other special occasion to make a Dad feel special. 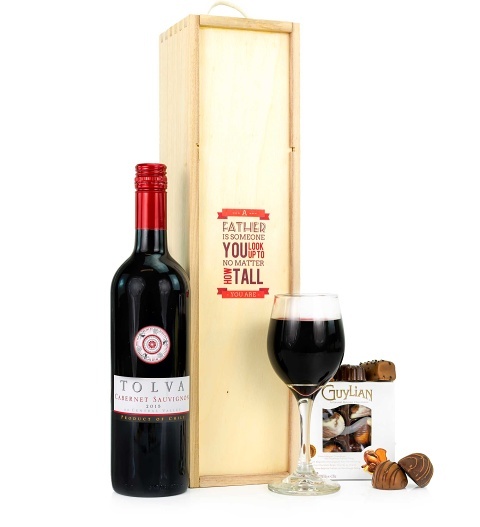 Available for UK next day delivery, this hamper is beautifully presented in a wooden wine crate.